First, it might be helpful to understand a bit more about what a mechanical royalty is, how it is licensed and whom it pays. Remember, there are two copyrights in a piece of music: the sound recording (imagine performances captured on tape or hard drive) and the musical work (imagine notes on paper and lyrics). A music service like Spotify must license both “sides” of the musical copyright in order to run their business. Spotify is designated under law as an “interactive” service because of the broad functionality it offers: users can choose precisely which songs or albums they want to hear, make playlists, cache songs for offline listening and share tracks/albums with other listeners on the platform. Unlike the licenses for sound recordings, which are negotiated directly with the labels, there is a “compulsory” license for mechanicals. Let’s examine what this means. Under U.S. law, anyone can obtain a license to make a reproduction or distribution of an underlying composition without having to directly negotiate permission with the copyright owner(s), provided they follow the guidelines laid out in Section 115 of the Copyright Act. To be eligible for a compulsory license, a user has to send a Notice of Intent (NOI) to at least one of the publishers of a musical work no later than 30 days before making the reproduction/distribution. 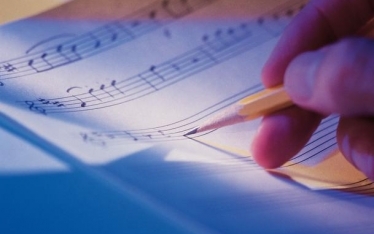 The compulsory license also lays out specifics for reporting and royalty distribution. The user has to send monthly accounting statements and pay on a 30-day schedule. If a user cannot locate one of the publishers to serve, they can file notice with the Copyright Office, which will publish the information publicly. Failure to comply with any of these provisions renders the user ineligible for the license and potentially liable for infringement. There are pros and cons for licensees and licensors with regard to the compulsory mechanical. On the positive side, it can help streamline the process of obtaining licenses, which is not only important to services that offer expansive catalogs, but also labels who release recordings that embody compositions with an often staggering number of co-writers and co-publishers. It also allows musicians to record cover songs without having to ask permission. It’s safe to say that this is very useful to a great number of performers, especially in traditions like jazz and folk. Publishers’ list of negatives may can include rates that they belive do not reflect market value, the hassles of monthly accounting and the fact that a user needs only to serve one publisher, even if there are multiple parties who own a portion of the work. It’s up to the publisher who was served notice to pay any co-publishers. If a user is not eligible for the compulsory mechanical license for whatever reason—perhaps they missed the 30-day window, or wanted to negotiate a broader range of permissions—they can still get a license, but they need to go to each owner of the work to obtain what is known as a “negotiated mechanical” license. Sometimes negotiated mechanicals result in rates that are lower than those set by the government, because there may be other enticements to cutting a deal. (Income not attributabe to plays or distributions is not required to be shared with songwriters.) But in general, the compulsory rate sets a ceiling for mechanical royalty payments, which many publishers and songwriters believe is too low. With that out of the way, let’s move on to those pesky unpaid royalties. The issue first came to light when a company called Audiam (run by Jeff Price, formerly of TuneCore) found that royalties had not been paid on some 2,183 songs published or co-published by Another Victory, the publishing arm of Victory Records. Price claims that Audiam provided detailed information about royalties owed, and Spotify says that it tried to enter into a negotiated mechanical deal with Another Victory, but was unable to do so because Audiam had already been retained as their designated agent. This has unfortunately led to Spotify pulling all Victory Records sound recordings, regardless of whether Another Victory has a partial or total claim over the underlying compositions. Spotify might say that they made this move to avoid liablility; Another Victory and Audiam likely see it as punitive. For the bands and songwriters, it means that an entire revenue stream is suspended. Since that dustup, there have been reports that up to 25 percent of all mechanical royalties owed from Spotify have not been paid out. How does this even happen in an era where every single click can be tracked? While there’s probably plenty of blame to go around, the core problem is bad/incomplete/nonexistent data. Spotify likely believes that by sending NOIs to the Harry Fox Agency, it was essentially covered. But not every publisher is a member of HFA. And even if they are, how do we explain the 25 percent of royalties unpaid? One of the biggest problems on the service side is matching sound recordings to underlying compositions. For sound recordings, it’s actually not all that complicated—tracks usually have one artist/band and one label. If the sound recording owner (usually the label) provides a standard numeric identifier, say an ISRC code, the plays are readily tracked, and the owners more easily paid. On the musical works side, things can get complicated really quickly. It’s not uncommon for a modern chart-burner to have more then ten co-writers and just as many co-publishers. And, while there is a standard for musical works, the ISWC code, it’s not as widely deployed. More frustrating, at least from a service perspective, is that there are no publicly searchable, machine readable, authoritative databases that can be queried to more easily identify who owns what portion of any given song. David Lowery of the bands Cracker and Camper van Beethoven recently sent a letter to the New York State Attorney General, which he also published on the Trichordist blog. In it, he urges the NY AG to investigate the unpaid royalty issue, much like the office did back in 2004, when labels faced similar accusations of non-payment of royalties to recording artists. That investigation resulted in a $50 million dollar disbursement from labels to performers. Other negotiated settlements between publishers and labels ended up with a lump sum distribution that was divided up by market share. The problem there is that, if you’re an independent songwriter or publisher who was owed mechanical royalties, your money ended up going to the major publishers. And due to incredible consolidation among copyright owners, there are now only three major publishers: Sony/ATV, Universal Music Publishing and Warner-Chappell. Make no mistake about it: we want songwriters paid, and we want them paid yesterday. But we want every songwriter who is owed to receive their money. Anything less is unacceptable. As we’ve pointed out countless times in the past, this is ultimately a failure of information management in a global, digital music marketplace. In order to avoid counterproductive situations—and most importantly, to get creators paid accurately and on time—all parties in the ecosystem must work together to find a solution. This is an issue that affects everyone—service to rightsholder, artist to songwriter. It’s high time to stop the sniping and fingerpointing and fix this once and for all. FMC has some ideas that we will be sharing in the coming weeks/months; we’d love to hear yours.